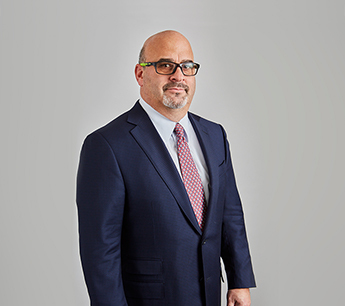 David Rosenberg is an Executive Managing Director and Partner with RKF. With more than 25 years of real estate experience, David, together with Executive Vice President Barry Fishbach, oversees retail leasing and investment sales in the five boroughs and the Greater New York Metropolitan area. David joined RKF in 1998 and has represented many of the nation’s premier tenants including Bank of America, Gap, The TJX Companies, Bed Bath & Beyond, Nine West, RadioShack, Burger King, Citibank, McDonald’s, CVS/pharmacy, Walgreens, Macy’s, Genovese/Eckerd Drugs, Charles Schwab, Sprint, Aerosoles, Design Within Reach, Circuit City, BJ’s Wholesale Club, Urban Outfitters, Chase and Apple. He also exclusively represents UFC Gym, PetSmart, Oakley, Asics, Capital One Bank and Sony Electronics. He has been responsible for some of the most significant retail transactions in the Outer Boroughs and Long Island, including the $25.5 million sale of the former Caldor department store located at Fordham Road and Grand Concourse in the Bronx and subsequent leasing to Bally Total Fitness, P.C. Richard & Son and The Children’s Place; the $15 million sale of the 45,000-SF former Woolworth building on Fulton Street in Downtown Brooklyn on behalf of Federated Department Stores; the leasing of 50,000 SF of retail space at the corner of Main Street and Roosevelt Avenue in Flushing, Queens to Old Navy; the leasing of Gateway Center, a 640,000-SF, one-of-a-kind shopping center, developed in Brooklyn by Related Companies and Blackacre Capital Management; and the $10 million sale of a 30,000-SF development site at 125th Street and Lenox Avenue in Harlem. Additionally, he was responsible for the leasing of a former Stop & Shop supermarket in New Hyde Park to Old Navy; the leasing of 30,000 SF to Bed Bath & Beyond at Bay Harbor Mall in Woodmere, NY; and the leasing of 90-30 Metropolitan Avenue in Forest Hills, Queens to a gourmet market, Michaels Stores and Staples. Most recently, David and Barry Fishbach represented Old Navy in the subleasing of 136-02 Roosevelt Avenue in Queens to Duane Reade. They also secured several new locations for PetSmart in Manhattan, Brooklyn, West Babylon, Pelham, Lake Grove, Port Jefferson, NY and Greenwich, CT. David recently completed the leasing of 1900 Northern Boulevard in Manhasset, NY to Apple. He also represented Modell’s Sporting Goods in lease transactions at Fresh Meadows Shopping Center in Fresh Meadows, Queens, on East Fordham Road in the Bronx and at 162 East Main Street in Mt. Kisco, NY; Oakley in a 1,815-SF lease at 1515 Broadway in Times Square and a 7,500-SF lease at 560 Fifth Avenue; Intermix in the leasing of 2,500 SF at 325 Greenwich Avenue in Greenwich, CT; Arhaus Furniture in a lease in Manhasset, NY; and rag & bone in a lease on Greenwich Avenue in Greenwich, CT. Additionally, he represented UFC Gym in the leasing of 2020 Jericho Turnpike in Jericho, NY; Raymour & Flanigan in the leasing of 490 Fulton Street in Brooklyn and Swarovski in the leasing of 484 Fulton Street. Prior to joining RKF, David was a director at Garrick-Aug Associates for 13 years. He is a licensed salesperson in the state of New York and a member of the International Council of Shopping Centers and the Real Estate Board of New York.